AMD Radeon Software Adrenalin 19.4.2 is AMD's revolutionary new graphics software that delivers redesigned functionality, supercharged graphics performance, remarkable new features, and innovation that redefines the overall user experience. AMD Radeon Software is the new name for AMD’s graphics card drivers, which for the last years have been called "AMD Catalyst". Every release strives to deliver new features, better performance and stability improvements. AMD Radeon Software Adrenalin 2019 Edition ventures beyond the realm of traditional graphics driver software to deliver extraordinary performance and precise control of graphics, video, displays, and forward-thinking power efficiency from the latest AMD technologies and advances. Fast high-speed game loading with Shader Cache. Note: To auto detect your driver use: AMD Driver Auto-Detect Tool. 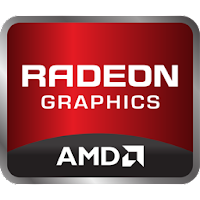 Developer: Advanced Micro Devices, Inc.
Disclaimer: Direct downloads for the lastest version of AMD Radeon Software Adrenalin 2019 Edition 19.4.2 are provided by the official software's author, we can't guarantee safety, availability or download speed. Moreover, we don't and we won't provide any pirated/illegal versions or tools. We recommend you to avoid it as these methods can harm your device. If you like the software, buy it to support the developers. (We provide software discounts for many worldwide brands).